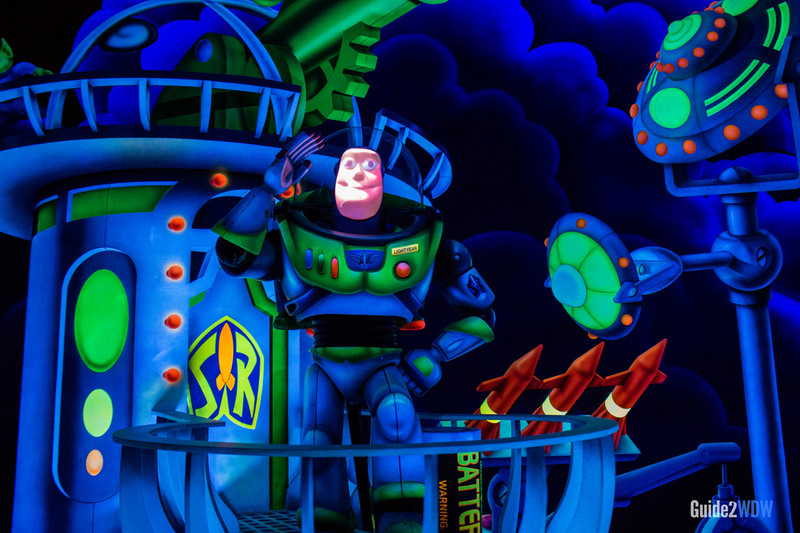 Use your Astro Blaster to defeat Zurg in Buzz Lightyear's Space Ranger Spin. Buzz Lightyear’s Space Ranger Spin is an interactive, game-based ride set in the world of Pixar’s Toy Story 2. 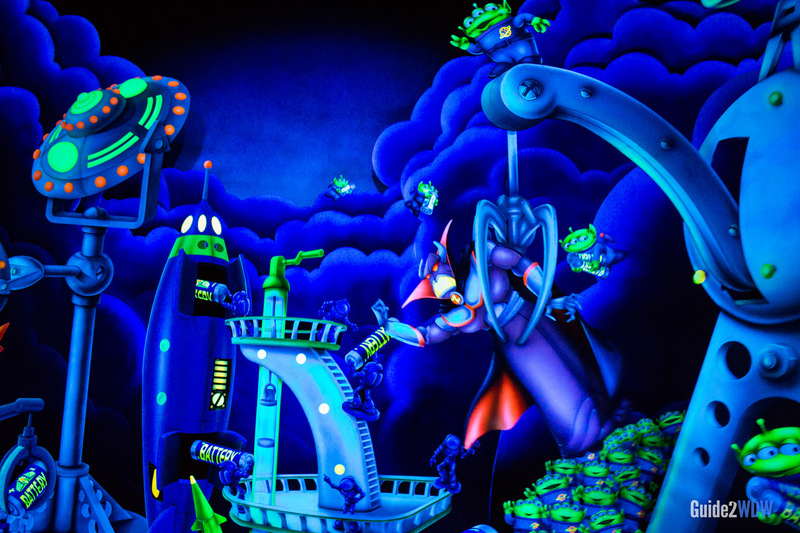 Riders board moving cars and use the attached Astro Blaster to shoot lasers at the armies of Evil Emperor Zurg. Compete for the high score of the day, or just see if you can beat whoever you’re riding with. Not all targets are created equal! Points per target range from 100 to 100,000. The first time you see Zurg, aim for the bottom of his ship. This target is worth 100,000 points. 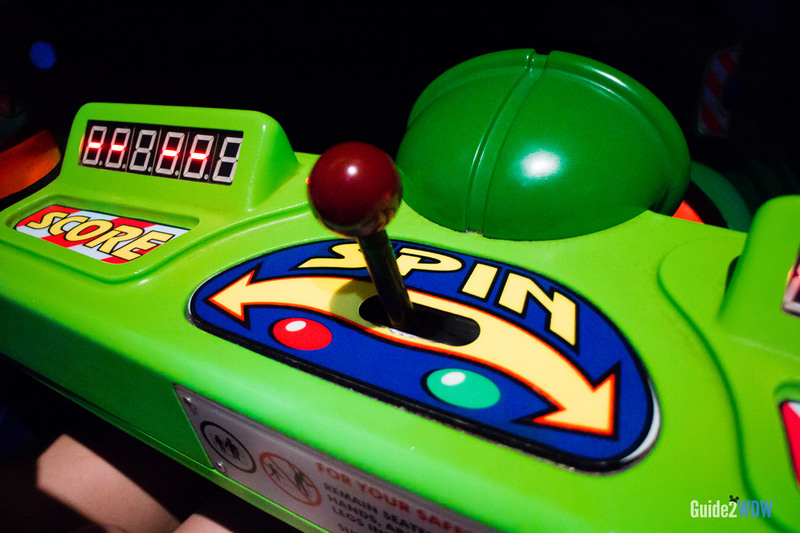 This will help you get a Buzz Lightyear Space Ranger Spin high score. Buzz Lightyear’s Space Ranger Spin is inspired by the opening sequence of Toy Story 2. Want more interactive Toy Story fun? Check out the highly popular Toy Story Midway Mania in Disney’s Hollywood Studios. Use this lever to spin your ride vehicle around. The Buzz Lightyear animatronic remains impressive to this day.